Expedia can help you save with a La Loma travel package. With all that extra cash in the bank, you might even like to book a few more nights. Savings of as much as C$590* are available to savvy vacationers who secure a package deal on Expedia. There's no need to search a bunch of websites for your travel needs. With more than 400 partner airlines and 321,000 properties around the world, our expansive database has everything you need. We've got all the sightseeing info you need for your upcoming trip to La Loma. Grab your travel organizer and prepare to start topping up that itinerary. If you’re looking for some spiritual enlightenment on your getaway, visit Baptist Church. Who knows, you might even find the answers to some of life's most mystifying questions! There's an excellent range of things to do in and around this destination. Need to impress your significant other? Treat them to a sunset stroll along the water's edge at San Luis Beach. Still have some time to spare? Few things are more calming than the sound of ocean waves coming into shore. Roll out a picnic rug, lie back and let the soothing melodies wash over you at Johnny Cay. 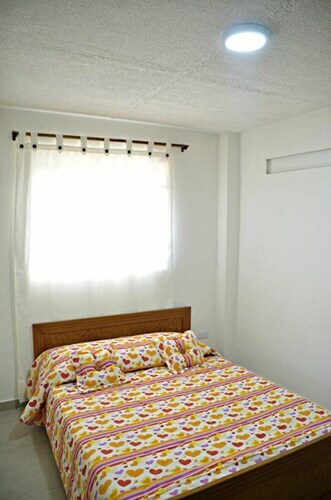 Wander around La Loma with ease knowing that you have your accommodations secured. With 68 properties to pick from, booking a soft, comfy bed for your next cheap vacation or luxury getaway won't be difficult! 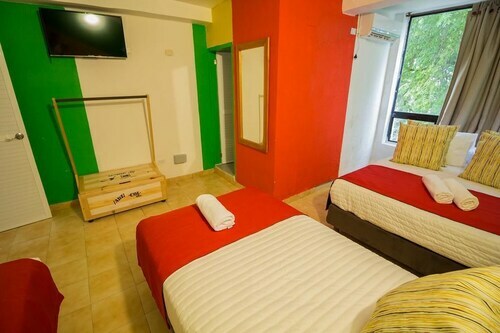 If you're after accommodations with good reviews and snuggly beds, look no further than the Decameron Marazul - All Inclusive (Carretera San Luis 30 -45 Int 100) and the Acantilado de la Tierra by On Vacation (I-01 # 1 a 99). Nobody likes standing around at the airport. But it's well worth it when you think of the vacation waiting on the other side! Based 2 miles (3 km) north of La Loma, Gustavo Rojas Pinilla International Airport (ADZ) is the most convenient terminal. 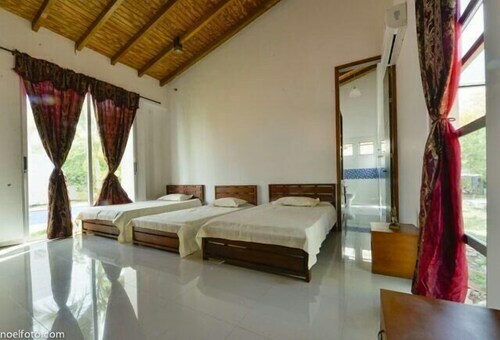 Situated in San Andres, this hotel is 0.1 mi (0.1 km) from San Andres Hill and within 3 mi (5 km) of Islote Sucre and San Luis Beach. First Baptist Church and Big Pond Lagoon are also within 1 mi (2 km). 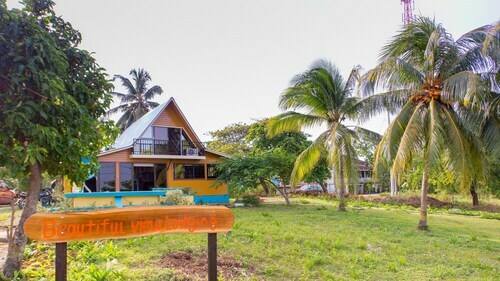 Situated in San Andres, this guesthouse is 0.3 mi (0.5 km) from First Baptist Church and 2.4 mi (3.9 km) from Islote Sucre. San Andres Hill and Big Pond Lagoon are also within 2 mi (3 km). 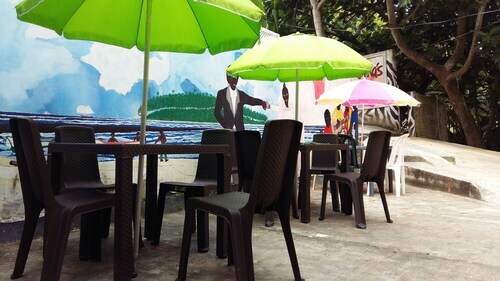 Situated in San Andres, this guesthouse is close to First Baptist Church, San Andres Hill, and Big Pond Lagoon. Also nearby are Island House Museum and Rocky Cay. 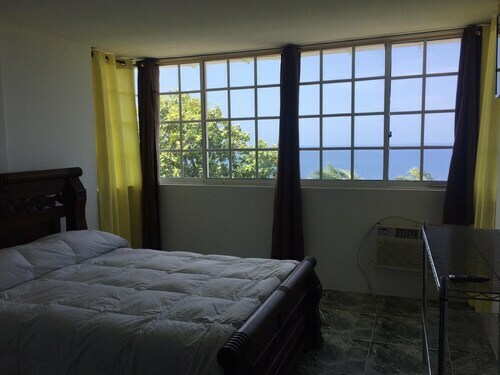 Situated in San Andres, this apartment building is 1 mi (1.6 km) from First Baptist Church and within 3 mi (5 km) of Islote Sucre and San Luis Beach. San Andres Hill and Paintball San Andres are also within 2 mi (3 km). 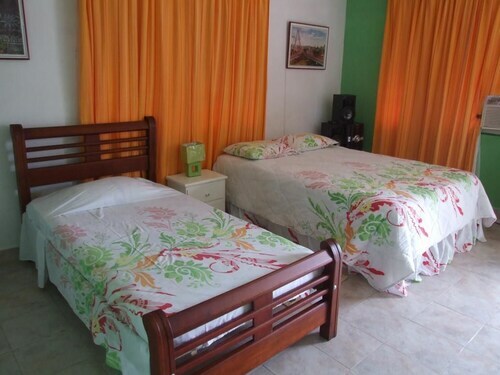 Situated in San Andres, this guesthouse is 0.6 mi (1 km) from First Baptist Church and 2 mi (3.3 km) from Islote Sucre. San Andres Hill and Coton Cay are also within 2 mi (3 km). 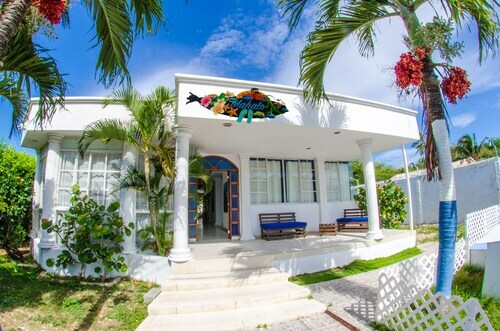 Situated near the airport, this vacation home is 0.1 mi (0.1 km) from San Andres Hill and within 3 mi (5 km) of Islote Sucre and San Luis Beach. First Baptist Church and Big Pond Lagoon are also within 1 mi (2 km). Fri., 26 Jul. - Fri., 2 Aug.